Garcinia indica, a plant in the mangosteen family, commonly known as kokum, is a fruit-bearing tree that has culinary, pharmaceutical, and industrial uses. Kokum is indigenous to the Western Ghats region of India located along the western coast of the country. The outer cover of fruit is dried in the sun to get aamsul or kokam. It is used as a slightly sour spice in many recipes. Kokum yields a peculiar flavour and blackish red colour. 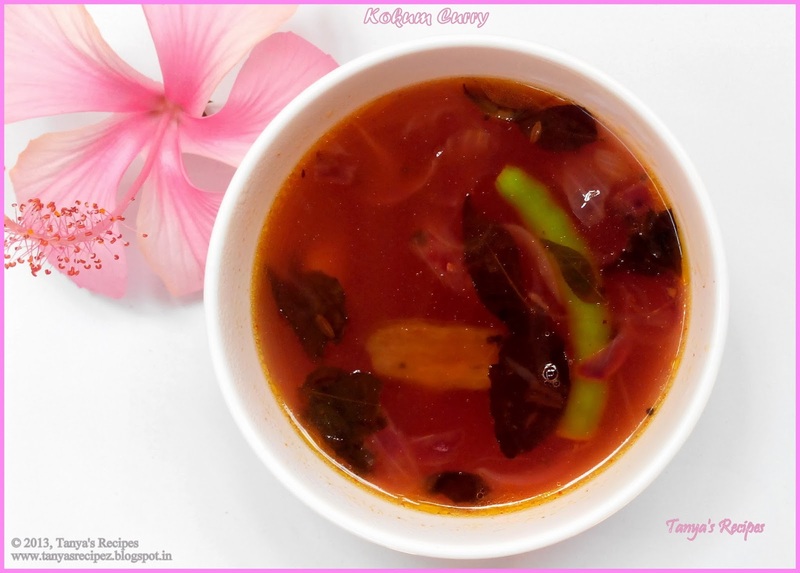 It is a preferred substitute for tamarind in curries and other dishes from the Konkan region. Soak Kokum in one cup of water over night. Remove the kokum petals just before making the curry and retain the water. Heat oil in a kadai. Add mustard seeds and let it crackle. Add garlic and saute till fragrant. Add green chillies and curry leaves. Add onion and saute till it turns pink. Add the kokum extract and salt. Add some water and let it come to a boil. Check for seasoning and take off the heat. Serve hot.